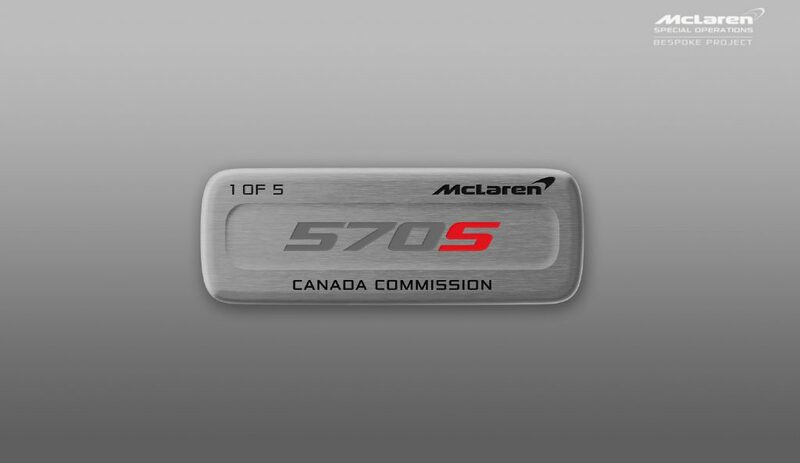 Announced at the Canadian International Autoshow, five MSO 570S Spiders celebrate McLaren’s history in Canada. 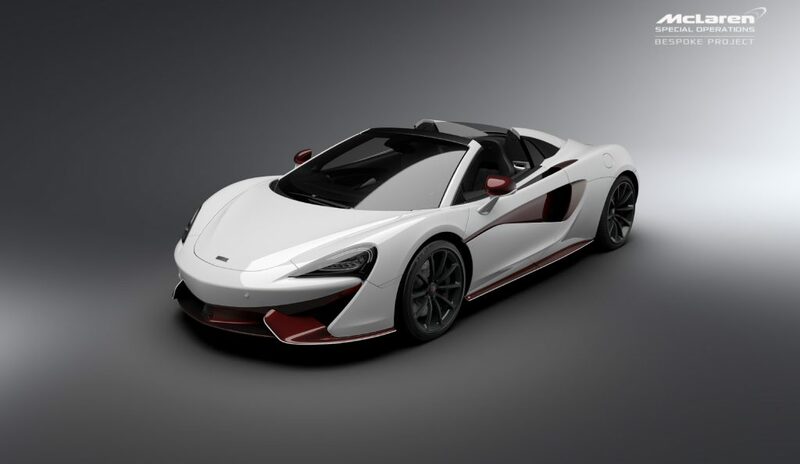 McLaren Automotive, the British manufacturer of luxury sports and supercars, and Pfaff Automotive Partners, the distributor for McLaren automobiles in Canada, have partnered to create five special 570S Spiders that celebrate McLaren’s racing and road-car history in Canada. 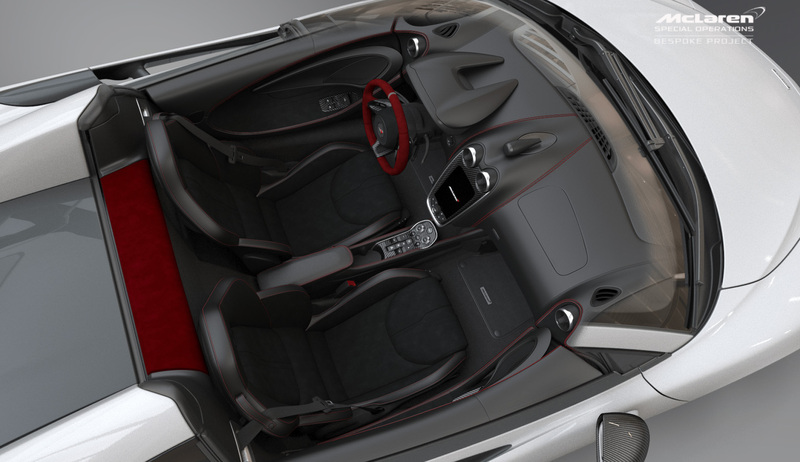 The Canada Commission's exterior is finished in Silica White, with extensive exterior trim tinted in red carbon fiber. 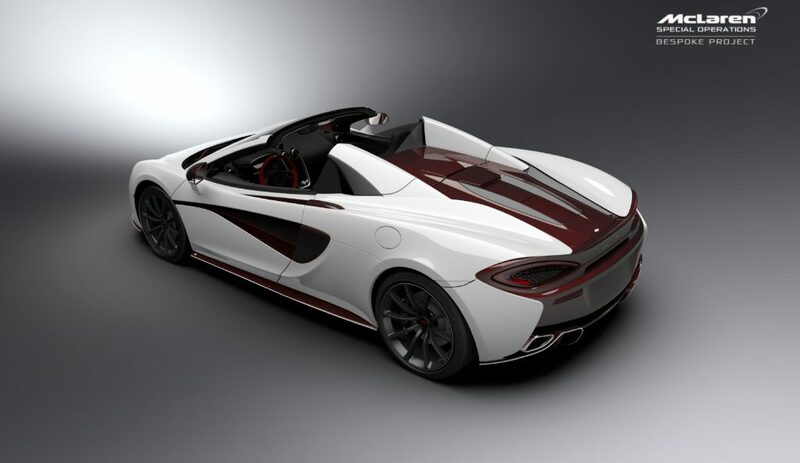 A white accent stripe on the lower sills, subtle white Canadian flags replacing the “570S” script on the doors, and Canadian flag accents on the end of the rear wing contrast with stealth-finish Spider wheels. Highlights of McLaren’s racing and road-car history in Canada include: Bruce McLaren winning three races in a row in the Canadian Sportscar Championship behind the wheel of the McLaren M1B in 1966; Bruce McLaren and Denny Hulme finishing first and second at the Canadian Grand Prix in 1968; and the 1-2-3 podium finish at the opening round of the Can-Am Challenge in 1969 by Bruce McLaren, Denny Hulme and John Surtees in McLaren M8B and M12 racecars. Three of the Canada Commission 570S Spiders will be available through McLaren Toronto, while one each will be available through McLaren Vancouver and McLaren Montreal. Pricing is $348,426 CAD before freight, PDI and taxes.